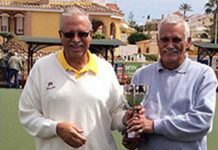 This week the winter season drew to a close for the Southern Alicante Winter League. All three squads fought hard to consolidate their positions. 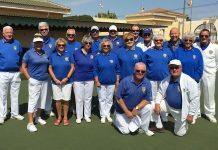 In the Enterprise Division, Pearls finished with a flourish, winning their away match against Vistabella Albatrosses 8-4 points and 75-68 shots. 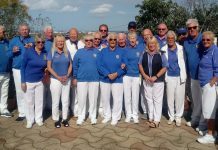 This means they’ve ended the season in 3rd place in the league – well done Pearls!! 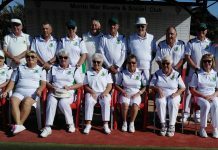 Meantime, the Diamonds were fighting hard to avoid relegation from the Enterprise Division and in their away match against Vistabella Drivers secured the 2 points needed to finish the season with a 3 point lead against them in the league. 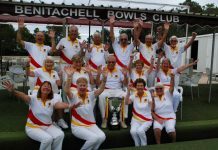 A win for Vistabella Drivers 10-2 points and 100-77 shots, gave QBC Diamonds the result they needed to secure their place in the Enterprise Division next year. 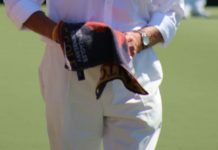 Job done Diamonds – well done! 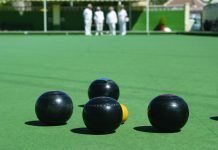 The newly promoted Rubies have had a very tough season and despite a very valiant 6-6 draw against Mazarron Miners, they finished in the bottom 2 of the Discovery Division, so are at risk of relegation. But all credit and thanks to the Rubies for their hard work and dedication throughout the season. 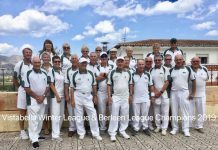 Quesada’s Winter league squad pulled off another great win against Bonalba 9-3 points and 92-71 shots, maintaining their 4th place in the league. 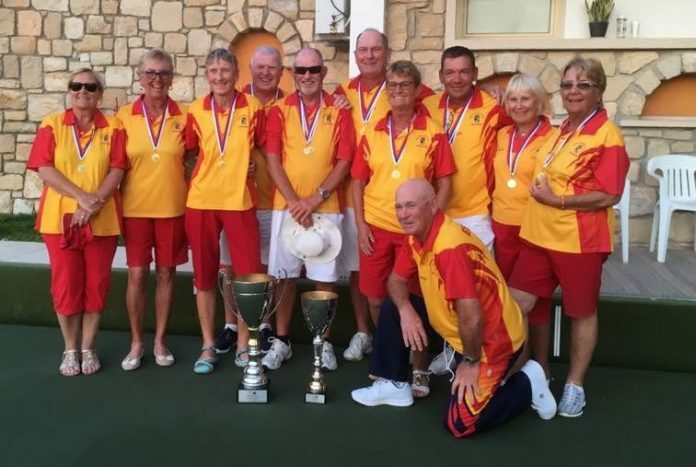 While we’re talking winners, congratulations to Quesadas Terry Morgan and colleagues in the Spanish National Squad, who won both the mens section and the overall Team medals in the 5 nations competition in Cyprus. Fantastic result – congratulations to the whole team. 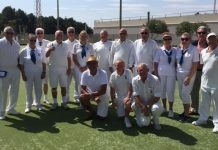 Finally, there was a friendly match this week between Quesada and The British Legion bowlers. 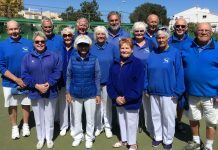 The match was at San Luis on a beautiful sunny spring afternoon. Played in a competitive but happy and fun atmosphere, Quesada were the victors 10-2 points and the shots were 92-68. Afterwards all of the players enjoyed a lovely 3 course meal together at Carmens in La Siesta. 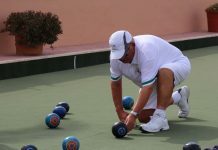 Next articleSAN LUIS BOWLS CLUB REPORT 29.03.19.